At Cincinnati’s Spruce Nail Shop, customers are always immersed in locally made and designed lotions, scrubs, and cuticle oils. We’re pleased to announce that for a $10 add-on, you can now enhance your all-natural, self-care nail experience with Rosebud CBD. Why add CBD to your nail service? Well, CBD has anti-inflammatory, pain relieving properties that when combined with massage can penetrate sore muscles and joints transdermally. CBD is naturally moisturizing, and works as a powerful antioxidant to fight free-radicals that often cause premature aging and illness. We are excited to add Spruce as a stockist of all three Rosebud CBD potencies. Find our 350, 700, and 1000mg on their shelves today. 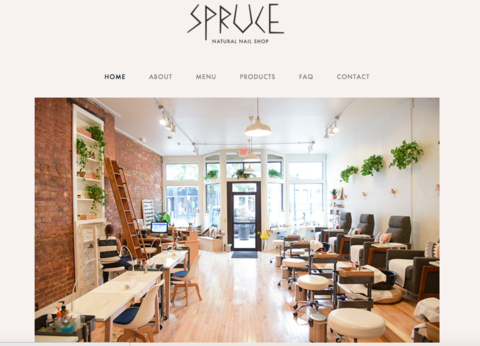 For your next nail appointment schedule with Spruce Nail Shop, here. No additional scheduling is needed for the CBD-infused massage, but if you would like to request ahead of time or if you have any questions, email Molly@sprucenailshop.com, or call 513-818-8749.